A journey through the Apennines, over the ancient Colle di Monte Bardone, today known as the Cisa Pass, after a long walk. 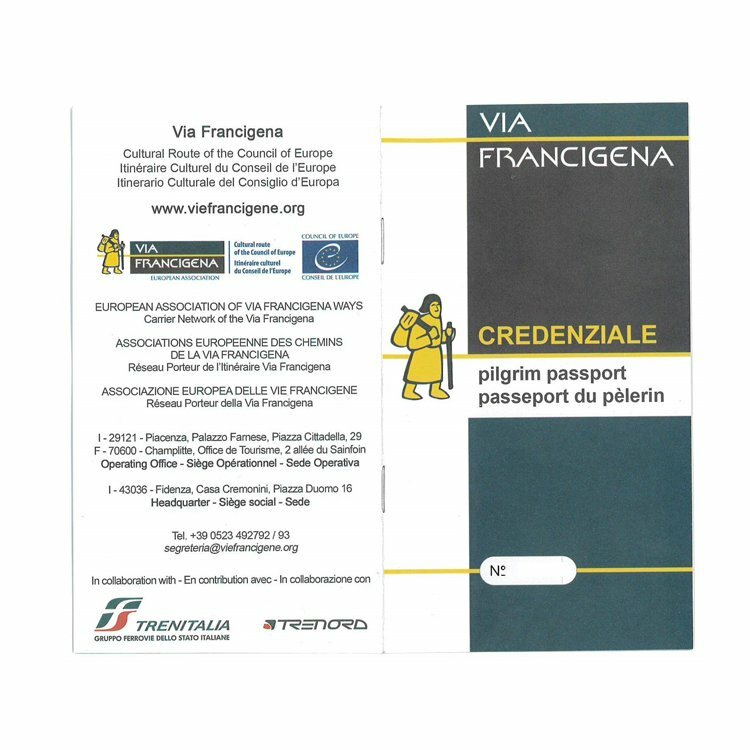 You will start from the ancient cathedral of San Donnino in Fidenza, with its cycle of bas-reliefs that inspired the creators of the Via Francigena logo, before proceeding through the hills of Parma, a foretaste of the Tuscan mountains. The climb towards the pass will be long and sometimes demanding, but it will give you priceless views over the Lombardy Plain first, and then the Lunigiana. The descent towards Pontremoli along the ancient path surrounded by nature, with the spectacular Groppodalosio bridge will make you feel the emotions felt a thousand years ago by the ancient pilgrims. If you want to immerse yourselves in the atmospheres of the Lunigiana, we recommend extending your journey as far as Aulla, adding another two days to your walk. The journey starts from Fidenza, a town of art and culture. After admiring the pilgrims whose tracks you will follow in the bas-reliefs of the Duomo, you will walk along the paved streets of the old town centre, to celebrate the beginning of your trip with an aperitif in Piazza del Municipio. 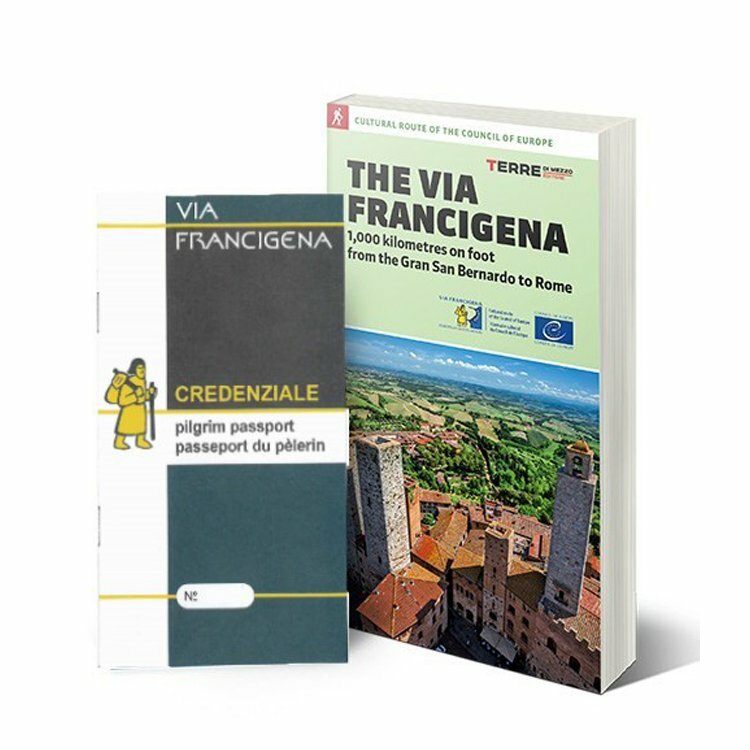 You will begin your walk with a leg across the hills, which will already show you monuments of great historical importance such as the Pieve di Cabriolo, dedicated to the Archbishop of Canterbury Becket, where you will be able to discover its mysterious history linked to the knights of the Templar. You will walk alongside the ruins of Costamezzana castle, dominated by its circular tower which still climbs among the trees, and you will enjoy climbing up and down the ridges of the hills. Continuing among the Parma hills, you will cross the river Taro to arrive at Fornovo, where we recommend a visit of the cathedral, to admire the alarming bas-reliefs of its facade. You will then continue to Sivizzano, where you will sleep in a characteristic B&B along the way. Today a demanding leg awaits you, but one that is rich in beauty: along your way you will come to the villages of Bardone and Terenzo, where you will be able to admire ancient churches. From here you will tackle a climb that will bring you to Casola Castle, before continuing up and down among conifer woods and finally reaching Cassio, where you will follow the stone path already travelled along by generations of pilgrims. A 10 km walk along asphalted, secondary road (or a transfer) will then bring you to Berceto, a "little stone jewel", where you can restore yourselves with local mushrooms and pattona, a typical cake made from chestnut flour. From Cassio a climb awaits you towards the Cisa Pass, first along mule tracks and country roads and then over earth tracks and asphalted roads. You will continue your walk along the last section of the route which will lead you among the attractive views over the Lunigiana to Mount Valdoria, a panoramic point of great beauty, before climbing up again towards the Pass and then down to Previdè, a beautiful hamlet surrounded by nature. There will be no rest during the last leg, but it will hold new surprises in store that will make all your efforts worthwhile. From Previdè you will travel along long sections of path surrounded by nature, through characteristic villages such as Groppadalosio, with its marvellous ancient medieval bridge, and Casalina, which will charm you with its little stone houses and the characteristic little dome of its bell tower. Finally the exciting descent to Pontremoli, the town of bridges and stele statues , where you can enjoy a relaxing evening walk among the alleyways of the illuminated old town centre. Hotel Ayri*** is located into a naturalistic context surrounded by Parma's countryside. This hotel has rooms with air conditioning, memory-foam mattress, flat-screen TV with satellite and free Wifi. The hotel is clean and well-finished and the staff is helpful and courteous. Breakfast is good and offers sweet and savory dishes. B&B Sulla Strada is located on the roas Val Sporzana 135 and it has 6 beds with breakfast and self-catering meals. The B&B offers a repair shop for bicycle and an information point with maps and news about territory. Located in Berceto’s historic centre, just a few steps from the Romanesque Cathedral, La Casa dei Nonni offers different accommodation types with its five rooms: single, twin and double rooms (extra beds available for children). The location is well-finished and beautifully decorated. Breakfast with house specials is served on the ground floor and for the dinner it's suggested to try the restaurant. This B&B is located in a Pontremoli village surrounded by the nature and its tranquility and offers a terrace, views of the mountain, a bar and free Wifi. Staff is helpful and friendly. Rooms are very comfortable and furnished in a rustic way. Breakfast offers natural local products and it's very good. Hotel Napoleon*** is a family-run property and is located near the historic centre of Pontremoli, surrounded by the Apennine Mountains. Rooms are comfortable, clean and has vintage furniture. These have free Wifi, TV, telephone, air conditioning and some of these have a balcony. Breakfast buffet is basic. get to Bergamo railway station and catch a train to Fidenza, with change in Milano. From Milano airports (MXP, LIN), Bologna airport (BLQ) and Verona airport (VRN), get to the central railway station, where you can catch a train to Fidenza (not direct in case you are travelling from Verona). On departure from Pontremoli, you can reach Bergamo, Mlano, Bologna and Verona by train (not direct).